“Mayor Muriel Bowser joined Ward 4 Councilmember Brandon Todd, District Department of Transportation Director (DDOT) Leif Dormsjo and DC Water Clean Rivers Project Director Carlton Ray to kick off a multimillion dollar revitalization project in a historic section of Kennedy Street, NW. The revitalization is a collaborative project that will improve traffic and pedestrian safety and increase green infrastructure. 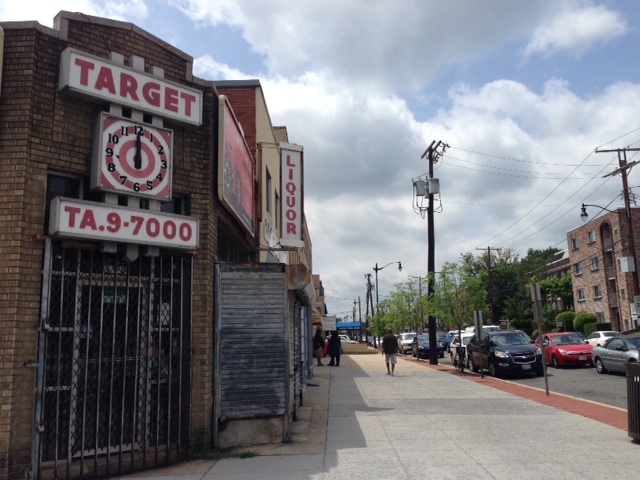 The project will span Kennedy Street from Georgia Avenue to North Capitol Street in the Ward 4 neighborhoods of Brightwood and South Manor Park. DC Water has committed more than $2 million to the project for its Green Infrastructure Challenge – a challenge designed to encourage innovative green practices that absorb rainwater. DC Water’s $2 million commitment to the Kennedy Street project allows for the re-engineering of the 100 block of Kennedy Street with permeable parking, bioretention areas, and new street trees. DDOT will conduct most of the construction during off-peak hours, and pedestrian access will be maintained throughout the work zone. “We’re going to work very closely with residents and businesses to keep them informed of our progress, and we’re confident the community will be pleased with the end result,” said DDOT Director Leif Dormsjo.